Remember those days when you trained so hard with your Charmeleon and it finally turned into a Charizard? Well, you can get that exiting feeling again with the new Pokémon game called Pokémon Omega Ruby/Alpha Sapphire, which is planned for November 21st this year. Besides the fact that this Pokémon is a remake of the classic Ruby and Sapphire, Nintendo spiced things up a notch by bringing a new story, engine and an extra evolution class. 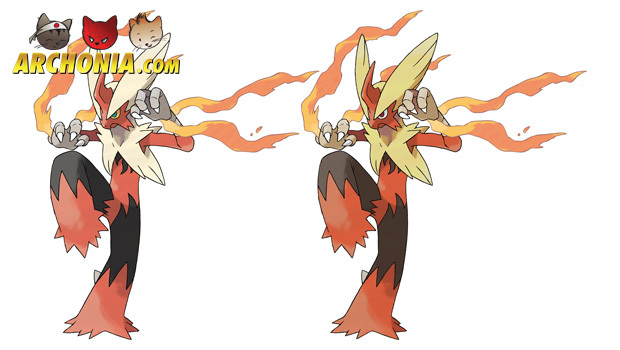 Since Pokémon X and Y a new sort of evolution has been added to the game. This gives some Pokémon the chance to evolve beyond their final form from the previous games. The recipe to let certain Pokémon Mega Evolve, is to let them hold a Mega Stone during battle. The way it looks now Mega Evolutions can only appear in battle, so the power you gain is only temporary, but who cares. How cool is it to show off your flaming blue Mega Charizard during battles. Check out the Mega Evolution in Pokémon X and Y as we wait for the release of the awesome new Pokémon installment: Omega Ruby and Alpha Sapphire.